Release Date:01/22/2013;Notes:Vinyl LP pressing. 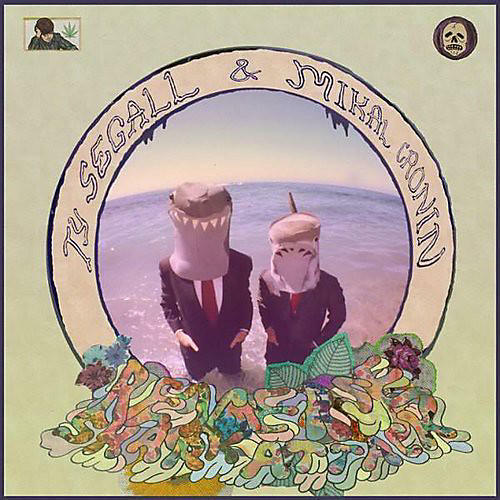 Originally released in 2009 as a vinyl-only title on the Kill Shaman label, Reverse Shark Attack is a collaboration by Ty Segall and Mikal Cronin, two longtime chums who grew up together in Laguna Beach. Both turned out to be hyper-prolific singer/songwriter/musicians who recorded as solo artists as well as performing in bands such as the Sic Alps, Moonhearts, Epsilons, Traditional Fools and Okie Dokie. Equal parts danceable garage rock and effects-ridden Psychedelia, Reverse Shark Attack is a mind-blowing explosion of loud guitars, pounding rhythms and signature vocal harmonies, and these eight shambolic, psychedelic jams are sure to please the most scrutinizing rocker. The centerpiece of the album is the title track, a side-long epic that goes from Beatles-esque melody to psych / folk weirdness before exploding into a Ventures-induced headache of smashed drums and wildly vibrant surf guitars. It's a must-have release for fans of these two artists, and nothing like either of them have done on their own.